’Tis the season for sales on sales. In an effort to get rid of superfluous winter inventory, our favorite retailers are slashing prices right and left, and Anthropologie is the latest to hop on the bandwagon. For a limited time, all sale items are reduced by 40 percent off. 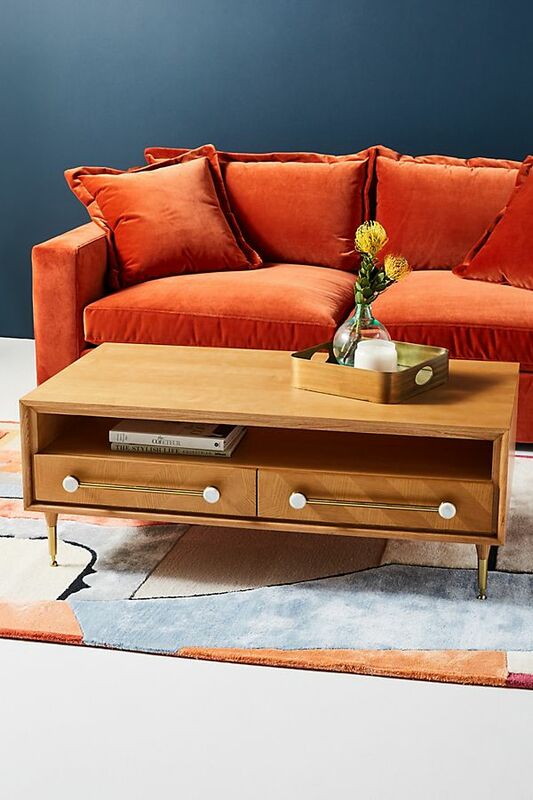 And just in case the 400-plus (and growing) product selection isn’t quite your speed, don’t worry: The retailer is also offering 25 percent off furniture, decor, and select bedding. New year, new home. Though there are a lot of seasonal holiday products and smaller home accessories featured in the sale—it’s never too early to stock up for next Christmas—don’t sleep on the larger, more evergreen items included. From furniture to dinnerware, here are our favorites from the Anthropologie winter sale. We had to include our dinnerware collection, obviously. Bring vibrant color and modern graphics to your tablescape in an easy way—berry hues are trending for 2019, after all. Calling all renters: Make this year the year you leave boring whitewashed walls in the dust. This mid-century piece is almost half off. Update your living room by doing away with clutter (the table fortuitously comes with tons of storage) and adding a timeless focal point. Subtle shades of sunset colors perfectly embody the Southwestern trend that’s so huge right now. An artful object that will tie any mantel, bookcase, or coffee table together. The beautiful pastel chairs your dining table put on its holiday wish list.